In 1961, 12-year-old Gloria Fernández was one of 14,000 children sent out of Cuba by panic-stricken parents who feared for their future under Castro’s regime. She was part of Operation Pedro Pan, one of the largest political exoduses of children in history. Palm Trees in the Snow is a memoir of the author’s life in pre-Castro Cuba and her family’s subsequent exile to the United States, where they found a home in Doylestown, Bucks County. The family had lived here for a year in 1956 and contacted friends for help in relocation. "Their immediate response was unequivocal," she says: "Come and we will help you." Gloria Fernández Strassburger lived in Doylestown until 1994, when her husband’s job relocated them to Michigan. 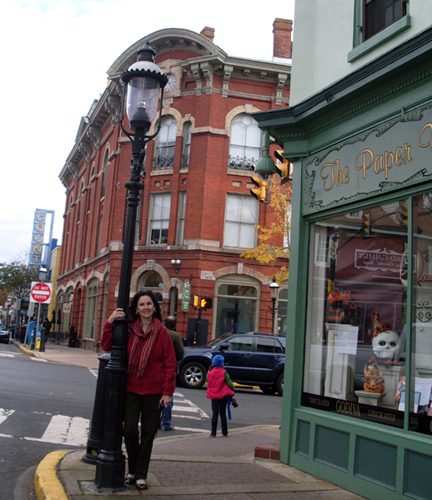 In her book’s chapter on Doylestown, she writes about her fascination with "its quaintness, bustling activity, and Victorian gingerbread houses, so different from our Caribbean island. The Doylestown Inn, with its witch’s hat turret, was my favorite. As a child, I always imagined a witch’s face under it." The birth of her daughter ignited her desire to write a memoir. "Our lost culture, richly woven with ancestral roots, ethnic traditions, and indefatigable Cuban spirit, needed to be preserved for the generations that follow," she writes. Fernández Strassburger says the emotional challenges of writing the memoir were powerful, but she "let the tears well up, flow sometimes, never holding back. The result is always the same: a feeling of comforting healing." She advises other women thinking of writing a painful memoir that "it is truly a rewarding endeavor. Despite the heartaches, the sadness, and even the traumas, the clarity of our nostalgia illuminates the good, dimming the bad." Her lifelong passion for writing continues as she writes about a trip to northwestern Spain last fall to trace her Spanish roots. This fall, she plans to teach English as a second language to families arriving from Central and Latin America. "I know how they feel," she says, "and I can’t wait to help them."